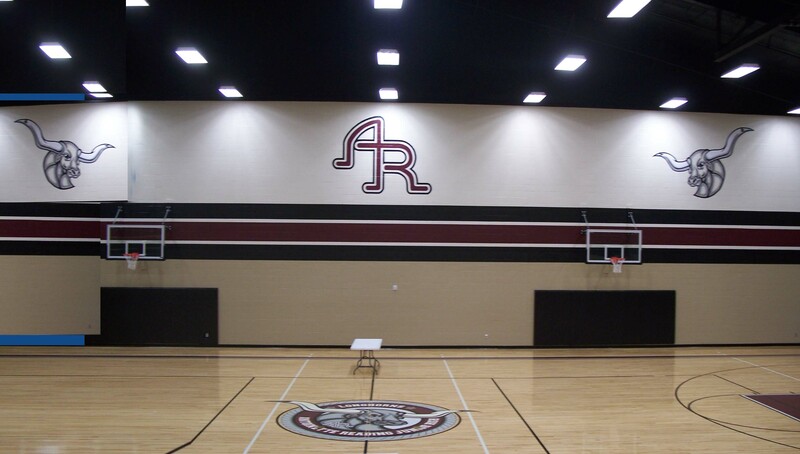 [A] Above: The main gym consisted of the AR logo center, and two large longhorn logos on the sides. 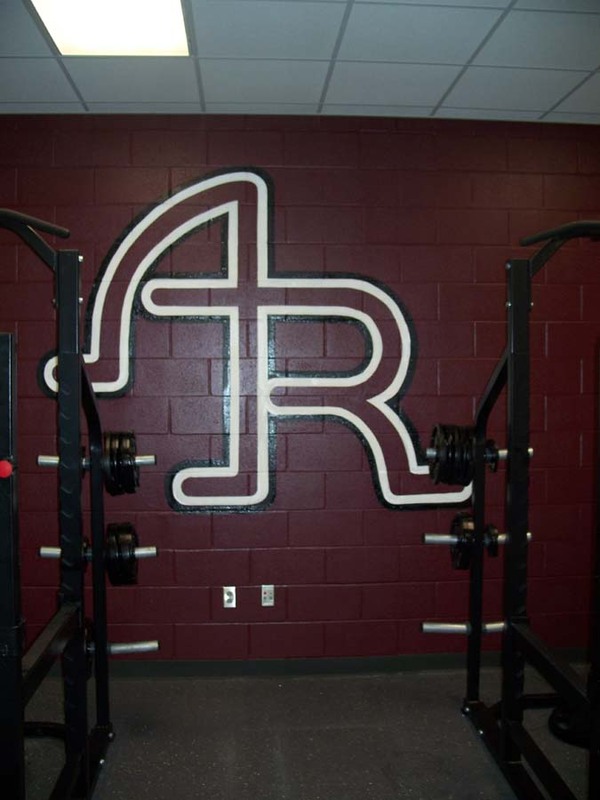 The AR logo graphic is approximately 10 feet tall and 8 Ft. wide. They are about twenty feet high on the wall. The longhorns are around the same size. 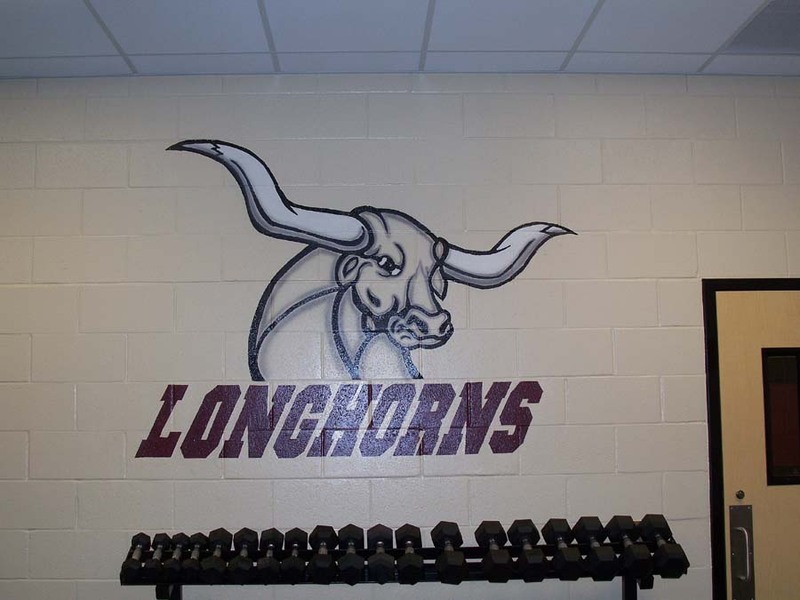 Note: The Longhorn logos were airbrushed around the edges to give them a unique soft look. 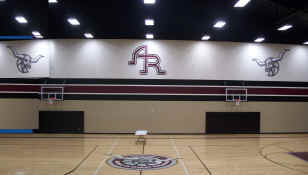 [B[ At right is the smaller, auxiliary gym, the graphics are approximately same size as above. 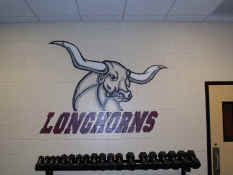 Below: The three graphics below were painted in the main weight room. 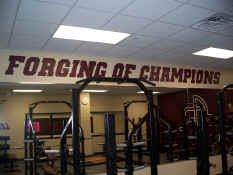 "The forging of Champions" letters were around 24 inches tall and spread out horizontally to around 30 Ft. 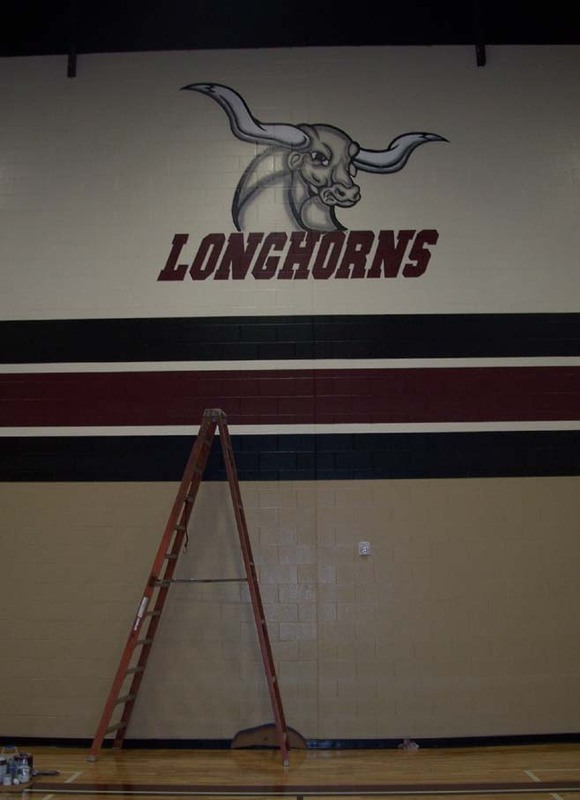 The AR and the longhorn logos are around 6 Ft. tall. 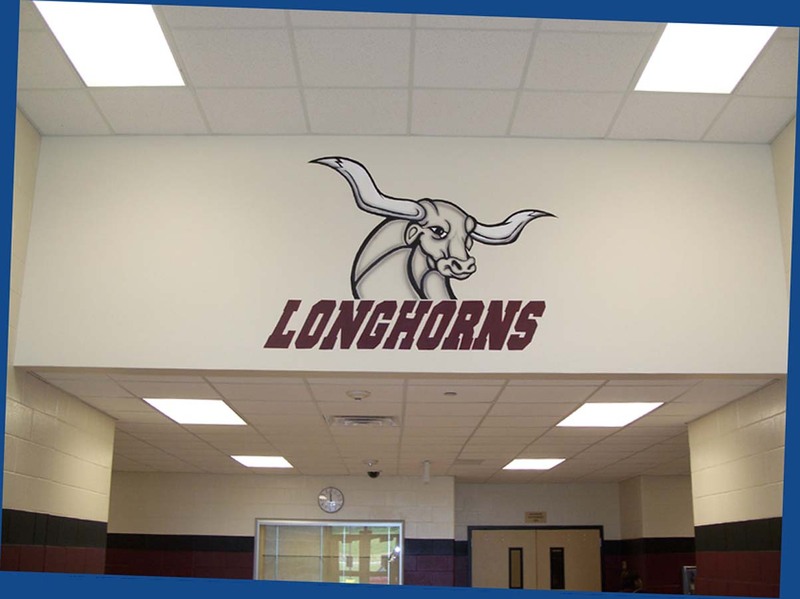 Above: The above graphic Is at the entrance way foyer, welcoming the kids as they enter the gym. The size is approximately 5 X 5 feet. 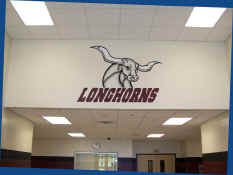 Go to see more, similar samples, gym and large architectural signage and graphics.